Annastasia Bonczyk is a graduate of the John Wesley Honors College. As a student, she split her time between McConn, Noggle, and Goodman serving in a variety of leadership roles. She invested in the JWHC community by serving as Ambassador team leader, HCSA President, and working with the first year student programming. While studying at Western Theological Seminary she worked at Pillar Church coordinating adult education and outreach to Hope College Students. Her undergraduate research was focused on the intersection of faith and popular culture by viewing the show M*A*S*H as an intentional construction. 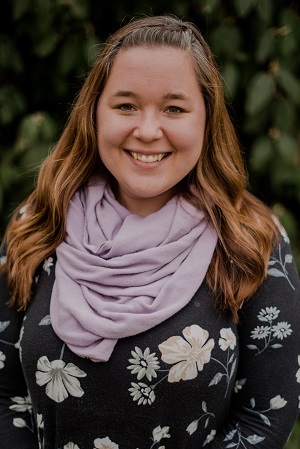 Annastasia is interested in studying the way our faith impacts our daily lives through conversations about spiritual disciplines, vocation, and the sacraments. A proud Michigander, Annastasia spent the past four years in Holland along the Lake Michigan shoreline. Baking, restoring furniture, and adventures on the water are among her favorite things. She is excited to be back at Indiana Wesleyan investing in the community of the JWHC.